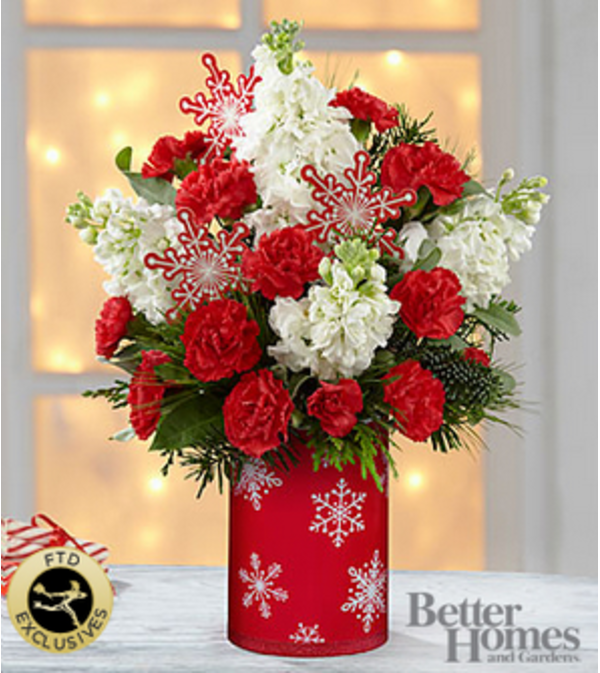 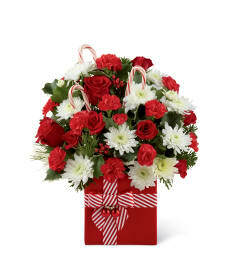 The FTD® Holiday Delights™ Bouquet by Better Homes and Gardens® brings Christmas enchantment and holiday beauty straight to your special recipient's door! Incredible red roses are brought together with red mini carnations, fragrant white stock stems, and an assortment of lush holiday greens to create an eye-catching flower arrangement. 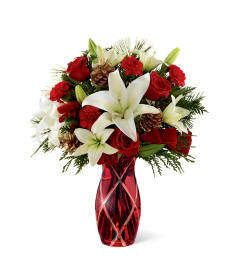 Presented in a designer red-wrapped glass vase boasting an attractive snowflake design and accented with snowflake pics throughout the arrangement, this Christmas flower bouquet will make the perfect impression on friends, family, co-workers and loved ones throughout the holiday season.